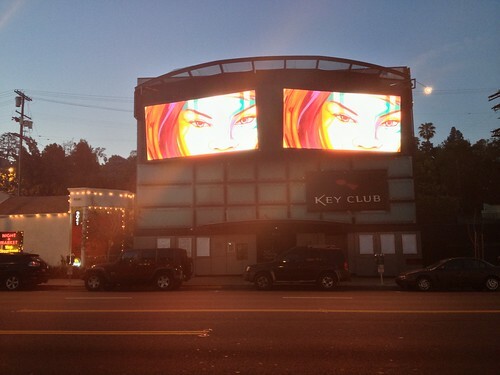 The digital billboard above the Key Club on Sunset in West Hollywood is showing off some cool public art amongst the movie ads and other stuff being promoted. 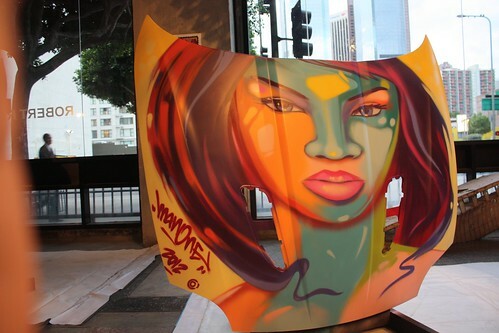 Every few seconds it shows different artwork from LA artists like Saber, Rick Robinson, Miripolsky and others. This cropped image of my "Fierce Beauty" piece (which will be on auction later this month) is one of several pieces which will be randomly rotated over the next few months. So next time you pass by take a look up at the lights!